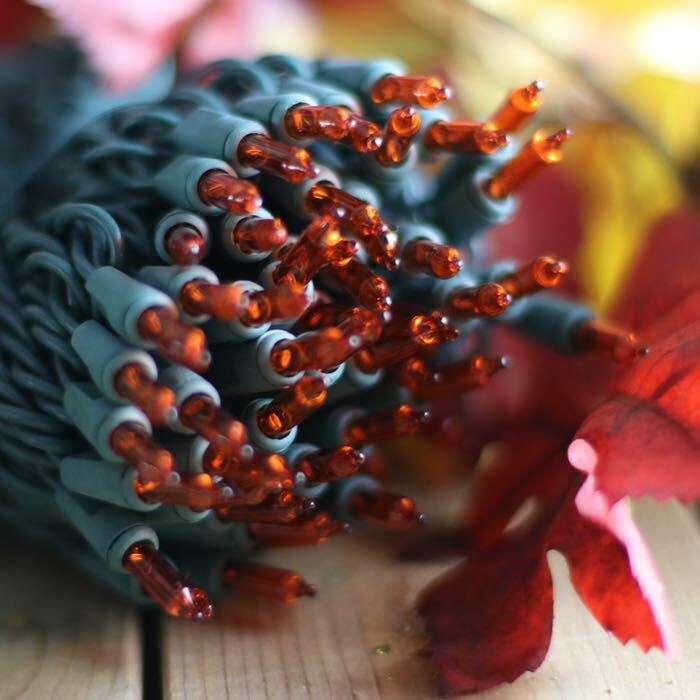 Fall events will shine with the use of these 100 orange mini lights on green wire. With 6 inches of spacing between lights, trees, fences and poles can be wrapped to brighten up outdoor landscapes. Lined sidewalks, along with shrubs and doors, will welcome your trick or treaters on October 31st. 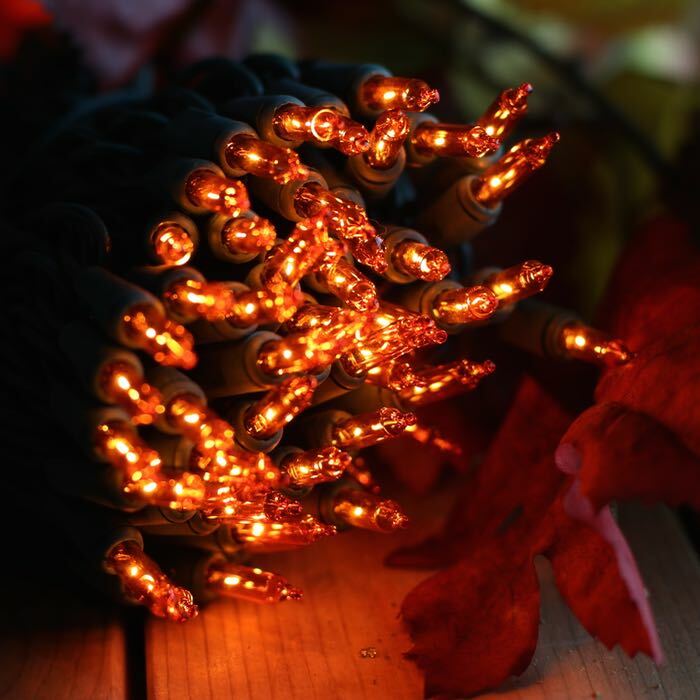 Halloween parties can have an extra boost of fun by using these amber lights in both indoor and outdoor decorations. String them around a canopy or line the walls of an old outdoor barn for an event that no one will forget. With almost 51 feet in length and a maximum of 5 strings that you can run in series, these lights will be perfect for any fall lighting project.